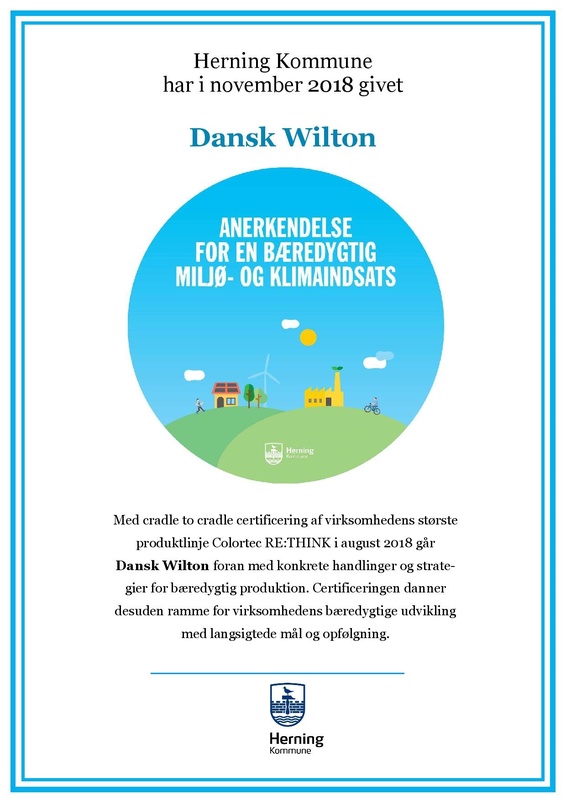 “With the Cradle to Cradle certification of the company’s largest product line Colortec RE: THINK in August 2018, Dansk Wilton takes the lead with tangible actions and strategies for sustainable production. The certification also forms the framework for the company’s continued sustainable development with long-term goals and important milestones”. This is how the Municipality of Herning explains their recognition of Dansk Wilton’s efforts to run our business sustainably. 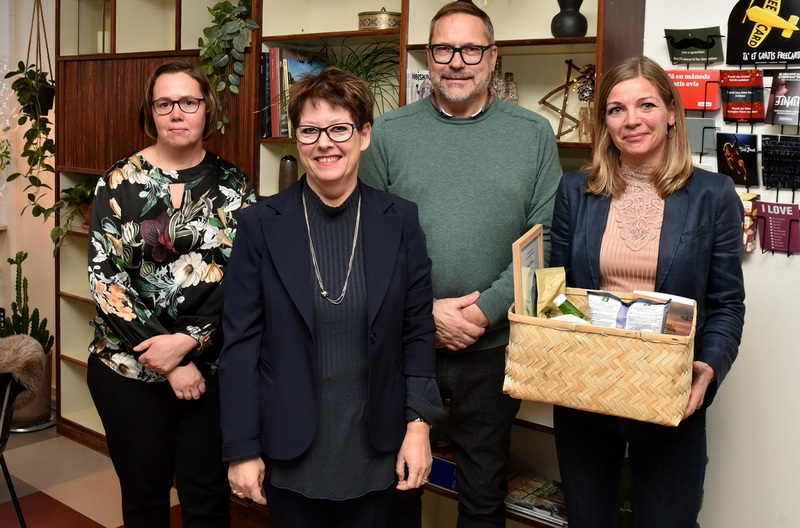 Every year the Municipality of Herning awards a company, a citizen, an association or others who have made remarkable environmental efforts. We are proud and happy to receive this recognition.